What You Will Hear: A mix of Patrick Doyle’s and Brian Tyler’s takes on the character, all mixed together with a retro-synth sound. Will You Be Humming Along? 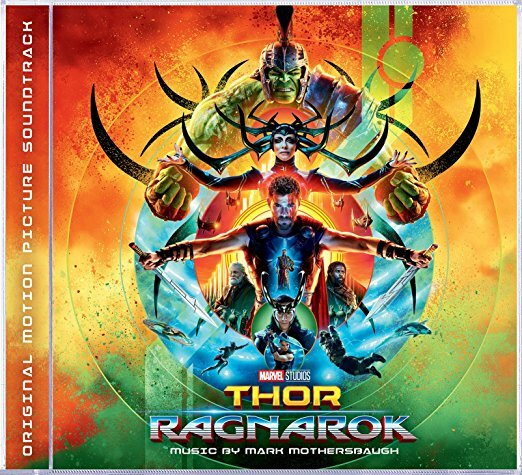 Doyle’s theme makes an appearance, but only at the end (see: Where To), and Mothersbaugh has created a new theme reminiscent of Tyler’s main titles (see: Thor Ragnarok Suite). However, the new theme rarely appears as a fully realized melody. Will I come back to it? This would be an adequately fun ride if it was just your standard action writing. The opening soundscape quite resembles previous Marvel efforts. These early cues, presumably in Asgard, are standard fair. But, with a change in setting, the introduction of retro-inspired synthesizers makes the final two thirds of the album extremely compelling. There really are two competing (but also complementary) styles at work throughout this score. Once (I assume) Thor is imprisoned on Planet Sakaar, everything immediately shifts to the 80’s soundscape. Think Stranger Things, or maybe a sequel to Tron Legacy that doesn't take itself too seriously. And it totally works. The production team obviously has taken Thor to a more comedic and glitzy looking story with this outing. Mothersbaugh seems to have expertly grounded us in the world of the first two Thor movies, and then flipped a switch that abruptly takes us in this wonderful new direction (see: Where Am I?). Mothersbaugh is a chameleon. Star Wars. Miami Vice. Top Gun. Eddie the Eagle. Blade Runner. Mega Man (Yes, the 8-bit Nintendo version). So many wonderful flashbacks. You’ll find yourself grinning throughout. However, my main complaint is that the Doyle theme only shows up once, almost as a theme for Asgard instead of Thor. I’m cool with that, but any new thematic material from Mothersbaugh is used sparingly. And when it does show up, it usually only a fanfare featuring the first few notes of the theme. For this reason, I don’t think I’ll be returning for much more than the fun synth tracks. The effects give Thor Ragnarok a fun edge, but the lack of a concrete main theme leaves me questioning the music’s identity.